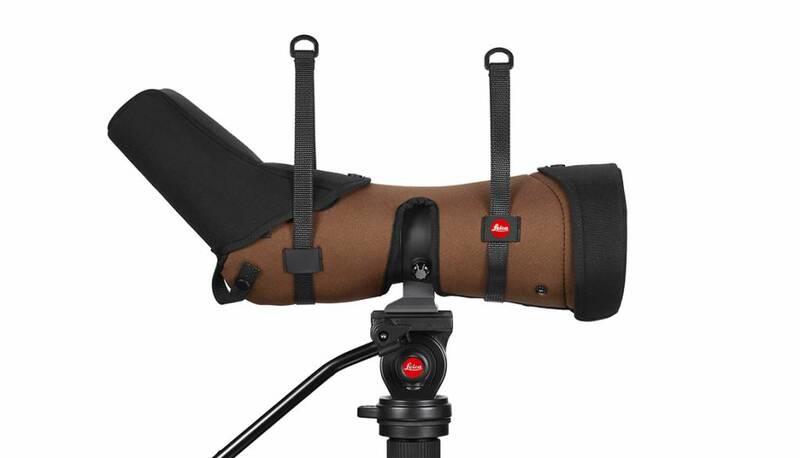 The best neoprene cover for the Leica APO Televid 82 W spotting scopes fits securely around the body of the spotting scope. The durable neoprene protects the optics against impacts and guarantees comfortable handling. The long opening at the centre of the bag allows a smooth rotation of the mounted spotting scope along the longitudinal axis. For longer transportation the carrying strap can be fixed to the spotting scope bag. To prevent the carrying strap from swinging in the wind, it can be easily taken off again. The covers for front lens, eyepiece and focusing barrel are made of robust Cordura. Eyepiece as well as front lens are the most exposed parts of the spotting scope. Thanks to the Cordura covers they are protected against impacts, scratches from thorns and rough terrain. 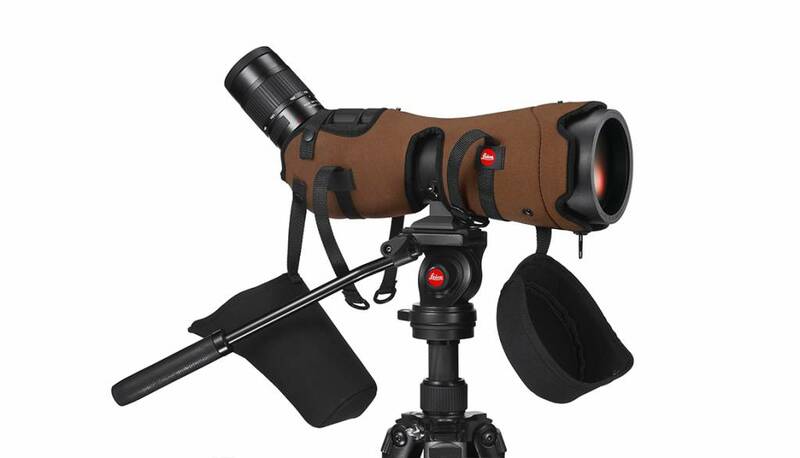 With additional buttons both covers can be fixed to the spotting scope to prevent them from swinging in the wind.